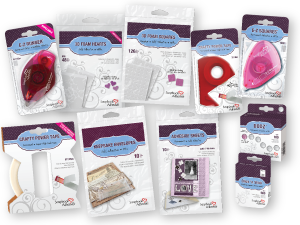 All use of images and descriptions from our website be properly attributed to Scrapbook Adhesives by 3L®. If Watermarks are added, they must include our logo or state “Scrapbook Adhesives by 3L®”. Our Company Name and Product Names are trademarked, and need to be written exactly as listed on our website, including specific trademark symbols. For more information please request the Branding Standards PDF in order to comply with the usage of all marketing materials available for download for Scrapbook Adhesives by 3L® or contact us for further information. Thank you, we appreciate your cooperation!